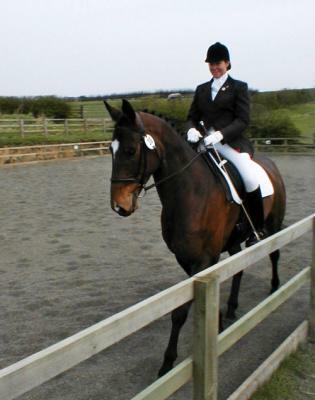 I offer freelance equestrian services and I work Freelance in the Equestrian Industry, riding and teaching mainly. I teach using a combination of Classical and Natural Horsemanship techniques in order to get the best from horses and riders. I also back, bring on and re-school horses. Clipping, trimming, plaiting and show preparation are also services I provide, having groomed on the International Circuit, I am quite a perfectionist! I have trained students for BHS exams and run Horse Owners Certificate Courses – keep an eye on my website for future course dates. I also offer holiday cover, where I will look after the leisure owners’ horse, or manage a whole yard whilst the owner is away. I compete my own horse ‘Silken Diplomat’ in affiliated dressage, unaffiliated show jumping and cross country. Welcome to local riding. Your horses look terrific and you’ve got some excellent photos on your site. Remember to add any horses you have to sell to our free equestrian classifieds.